I’ll be honest, I find the whole fidget spinner thing to be stupid. Do you really need a toy to fidget with? Are you nervous? Can you not just practice some self control? Anyway, just when you thought that the fidget spinner craze was over, they pull you back in. Notice I said you, not me. Meet the latest in fidgeting technology. keyboard fidget spinners. 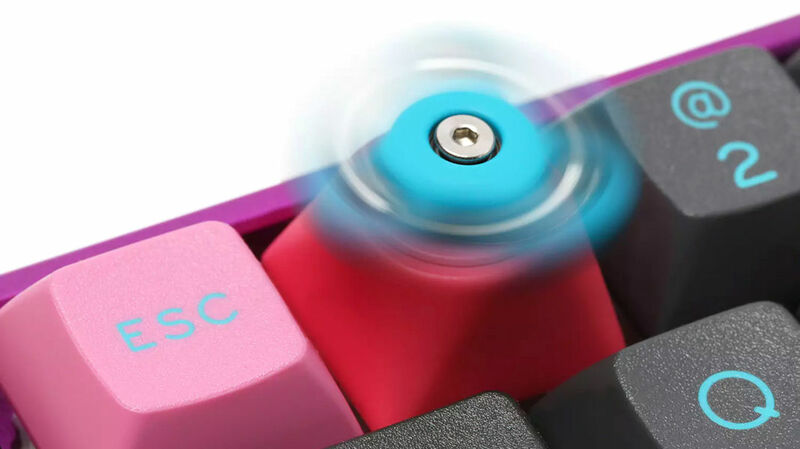 A company called Hammer has unveiled a series of replaceable fidget spinner key caps for your keyboard. So feel free to fidget the day away as your type and get your work done. Just replace your keycaps with these little helicopters and go to town my friends. These will not be good for those who practice the hunt and peck method of typing since these replacement keys don’t come labeled in any way. However, the rest of you can type, spin your little toy, then type some more, to your heart’s content as long as you know the keys well enough. Just be warned that these replacement keys are pretty expensive. They will cost you around $20 per key. So I guess they are targeting the wealthy fidgeters with this product. Those who absolutely need to fidget while they work.